This old front door needed some help. 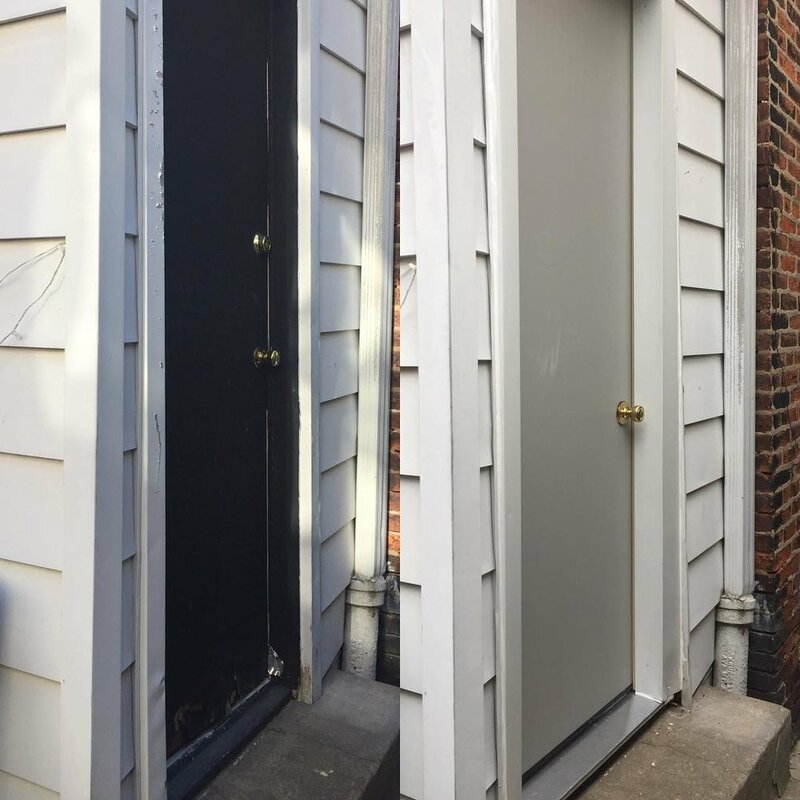 The door, door frame, and threshold were replaced. The affected area was also repainted, and the door knob and lock were reinstalled.